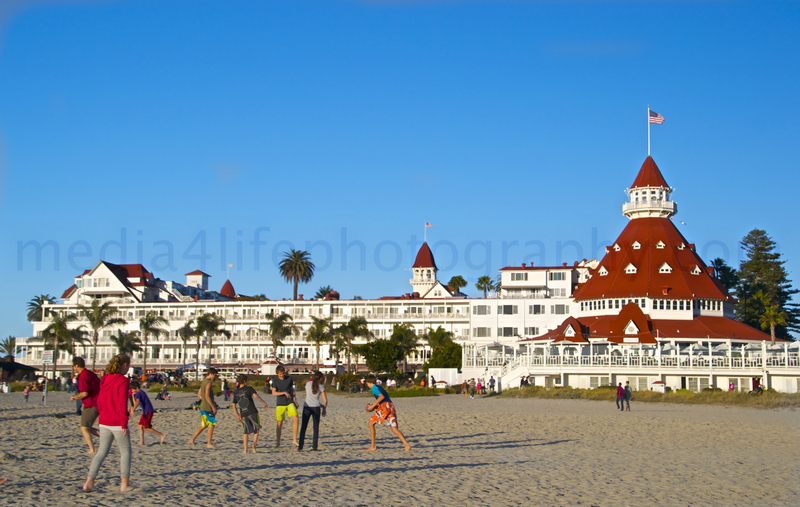 The Hotel Del Coronado is one of San Diego’s famous landmark and tourist destination. 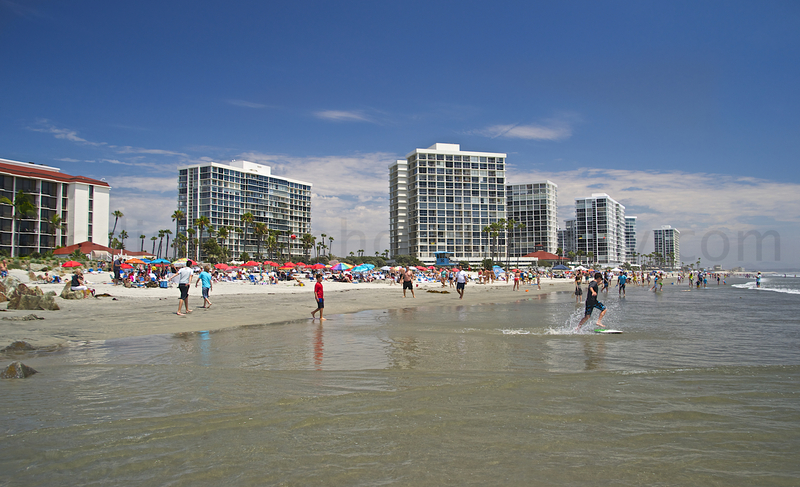 It is located on beautiful Coronado Island. Coronado, CA — When the Hotel del Coronado first opened its doors in 1888, the United States of America looked far different than it does today. At that time, California was separated from the rest of the country by vast unsettled territories. The 1848 discovery of gold in northern California had propelled settlement to the West Coast, but even forty years later, much of America’s interior was still unsettled. Imagine what it must have been like for the hotel’s early guests to leave the comforts and culture of the east and travel through the vast remoteness of the west to reach The Del. In the early days, most guests traveled to The Del by train, and a trip from the east took seven days. Wealthy travelers journeyed in relative luxury, the wealthiest of who had their own private rail cars that were hitched up to trains back east and unhitched when they reached The Del. To accommodate private rail cars, the hotel had a spur track on property. Not only was the hotel part of the movement west, it was part of a way of life, which was epitomized by America’s luxurious railroad resorts. These were the watering holes for the rich, the famous, the privileged and the few. In fact, the hotel’s early patrons very likely spent their days traveling by train from one fabulous resort to another. 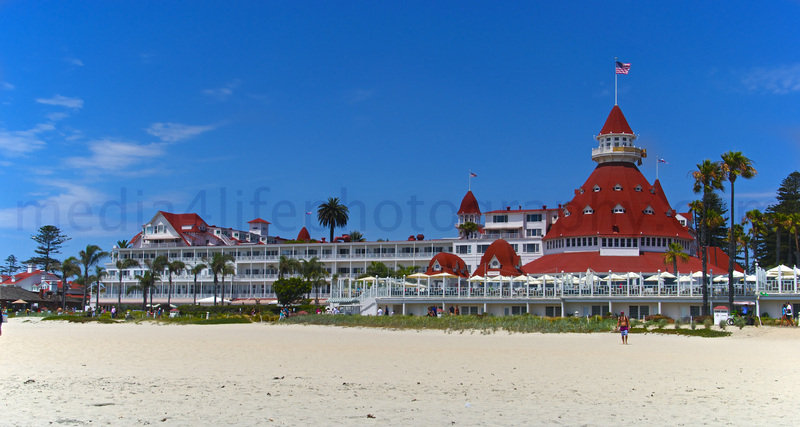 At one time, the Hotel del Coronado was one of many such resorts; today, it is one of the few that has not only survived, but still flourishes as a wonderful world-class hotel. Promoted as a fishing and hunting resort, the waters that surrounded The Del were rich with marine life; the nearby scrub was filled with quail, rabbit, and other small game (and the hotel’s chef was happy to cook a guest’s catch of the day). But, in addition to these pursuits, the hotel offered more refined amenities including billiards (separate facilities for men and women), bowling, croquet, swimming, boating, bicycling, archery, golf, and fine dining. There were also special rooms set aside for smoking, reading, writing, cards, chess, and music. The Del also showcased a lot of modern technology: it was lighted by electricity (at that time, it was one of the largest buildings in the country to have electric lights); there were telephones (but not in the guests’ rooms), and there were elevators. There was a fire alarm system and state-of-the-art fire fighting equipment (although it is not known to have ever been used). There were also numerous bathrooms, all equipped with something very rare: water pressure. The hotel was outfitted in fine china and linen from Europe. Furnishings came from the east, as did many of the original employees. 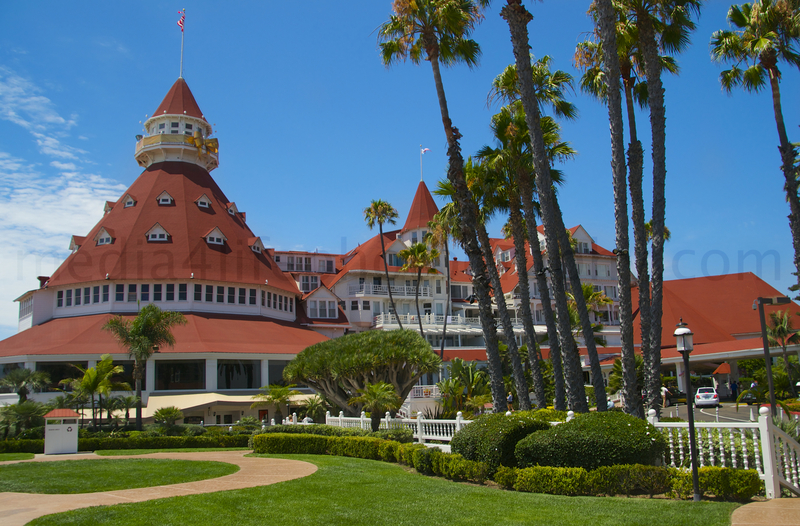 The Hotel del Coronado became a mecca for sophisticated eastern travelers, who had grown a little bored with the resorts on that side of the country, and who looked for exciting alternatives to European travel. In 1906, polo was added, and in 1913, the hotel opened its own school for the children of long-term guests, many of whom would stay at The Del for months at a time. The early 1900s also brought the addition of “Tent City,” which was developed by The Del for America’s new emerging social segment: the middle class. Tent City – which lasted until 1939 – was located on hotel property just south of The Del and offered modest tent and bungalow accommodations at reasonable rates. The hotel’s heyday continued into the 1920s, although by then, the clientele had shifted. There had been a war, and federal income tax had been instituted. No longer were there so many people who could pack up their families, their belongings, and their servants, and while away a season at The Del. Times had changed. Now, women bobbed their hair, rolled up their skirts, rolled down their hose, took up smoking, and took off in rumble seats – and the men took off after them. The Roaring Twenties was truly the party decade at The Del, with lots of Hollywood coming to call, including people like Charlie Chaplin. But, he wasn’t the only luminary. Even England’s Prince of Wales visited The Del during the twenties, as did Lindbergh, who was honored at the hotel after his historic 1927 solo transatlantic flight. During the Depression, the hotel suffered some, but not as much as many other turn-of-the-century resorts, which could not survive such hard times. Fortunately, the strong military economy in San Diego helped keep The Del afloat. In fact, the hotel continued to draw guests all through the Thirties, despite the Depression. When World War II began, Coronado – like so many other areas on the West Coast – panicked, and so did the hotel’s guests. Visitors wanted to get off Coronado and out of California as quickly as possible, but Coronado was still serviced by ferries only, so getting out fast was practically impossible. During the war, blackout laws went into effect as Coronado’s military base swelled with new recruits. Part of The Del was used by the Navy for housing and the hotel became a magnet for military men and their sweethearts. Couples danced at The Del, romanced at The Del, partied at The Del, married at The Del, honeymooned at The Del, and eventually returned after the war to celebrate at The Del. Meanwhile, all across America, more and more nineteenth century resorts were being abandoned or destroyed. Like The Del, most were used by the military during the war, and some were even taken over entirely – for hospitals, for housing, for internment centers, even for reasons never disclosed. Afterwards, many of these hotels could not rebound. The post-war years were no more generous. After World War II, Americans turned away from the past and tradition. They were interested in the future and whatever was new: televisions and TV dinners, suburbia and shiny new automobiles. And, with the automobiles came fast food restaurants, drive-in movies, and … motels. Still, The Del prevailed, thanks to a series of owners during the fifties and sixties who wanted to keep her going. During some of those leaner years, the hotel took in “resident guests.” These were people who lived at The Del from one year to the next, and their rent usually included all meals. Although the “Grand Lady by the Sea” may have been a little bit worse for wear at this time, she was still able to cast her magic spell far and wide. In 1958, director Billy Wilder chose The Del for the filming of Some Like It Hot, starring another timeless American legend, Marilyn Monroe. Fortunately, by the late Sixties and into the Seventies, Americans had a change of heart, as they became more interested in history and more interested in saving their history. During this period, The Del was brought back to her former glory and has enjoyed good years ever since. In fact, since that time, every president since Lyndon Johnson has visited the hotel. In 1998, The Del established its own Heritage Department, committed to safeguarding and sharing the hotel’s wonderful history. Today, The Del is proud to have a permanent place in the nation’s history and honored to serve a new generation of travelers. Gallery | This entry was posted in Architecture, Beaches, Buildings, California Living, Photography, San Diego and tagged America's Finest, beach, beachlife, Buildings, california, Coronado, Hotel Del Coronado, Hotels, pacific ocean, Paradise, san diego, Southern California, The Del, Tourism. Bookmark the permalink. Eventually it becomes difficult to grow a commercial crop. shelter, etc. Only one BES can be active at a time, expressing only one VSG.